ROAD AND LANE CLOSURES THIS WEEKEND AFFECTING RIVERVALE CRESCENT! You are at:Home»Featured»ROAD AND LANE CLOSURES THIS WEEKEND AFFECTING RIVERVALE CRESCENT! 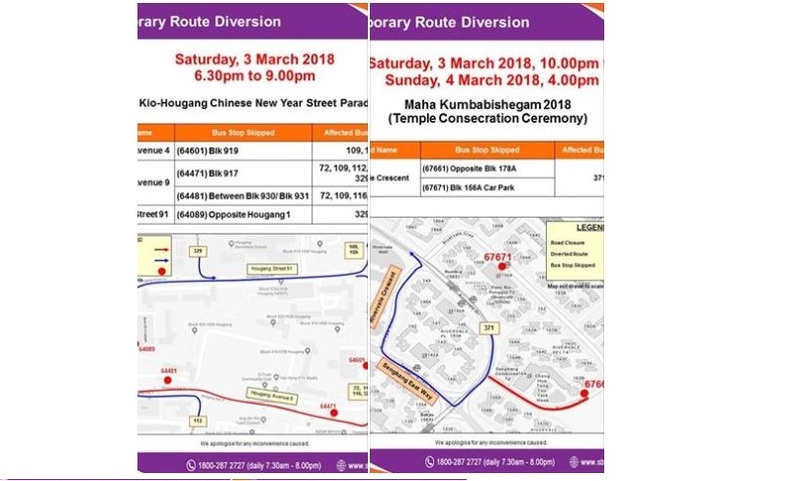 Road and lane closures this weekend will affect Service 371 along Rivervale Crescent and Services 72, 109, 112, 116, 159 and 329 along Hougang Avenues 4 & 9 and Hougang Street 91. Please check out the posters below for more details. Previous ArticleNETIZEN IS DISAPPOINTED WITH THE LEVEL OF SERVICE PROVIDED FROM THE TRAIN OPERATOR!